If there's anything that tickled my interest, that would be the bedroom slippers! 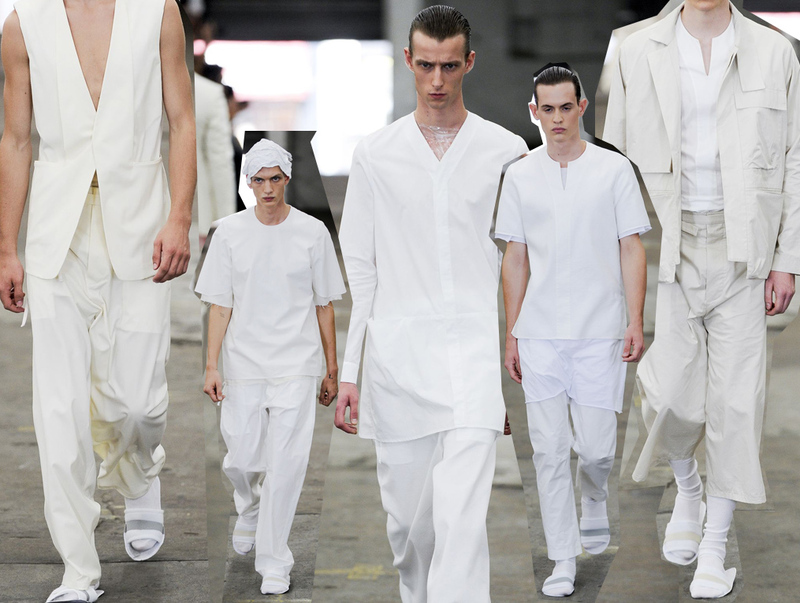 (Celine, you made slipper sandals happened) But on top of it all, I love the collection. 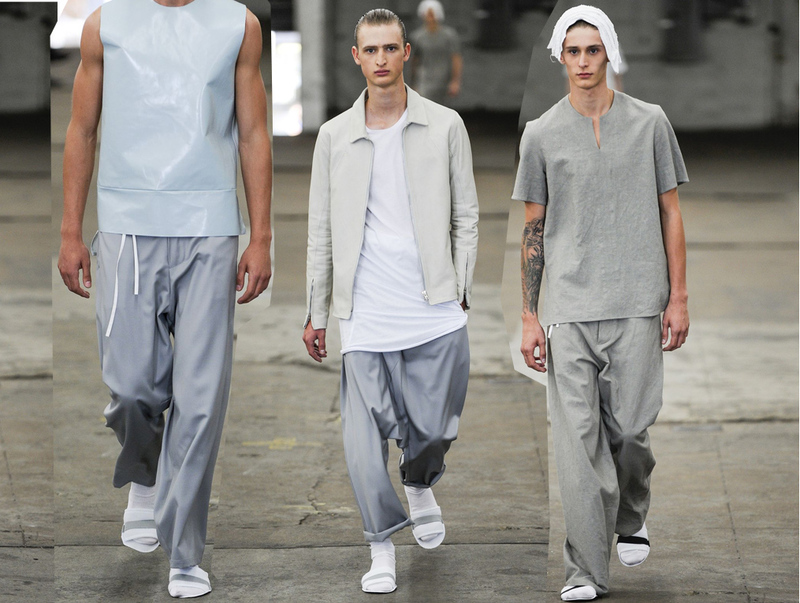 I picked the white and gray ones.The Siki Im formula has always been so strong and experimental . A true NYFW favorite. 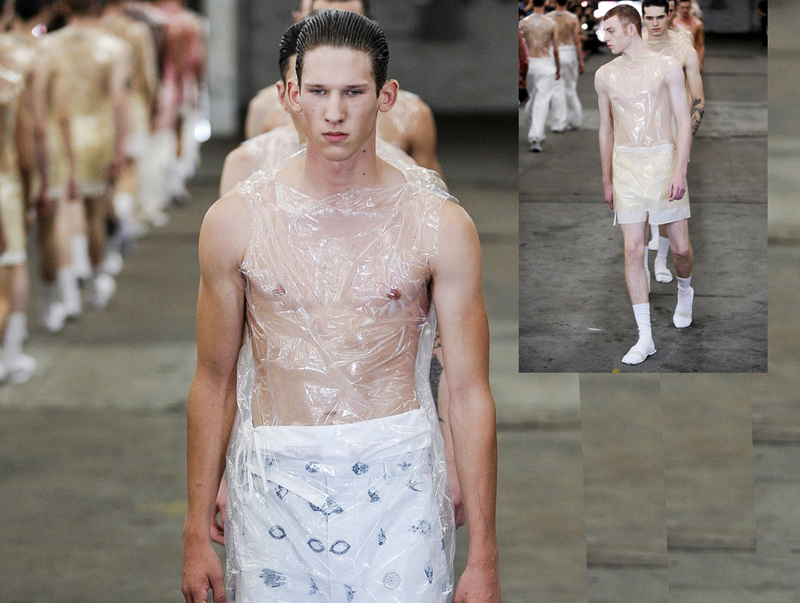 All clothes shown were almost "easy to wear" but Siki added a mild conceptual story by adding plastic wraps on his army's body .